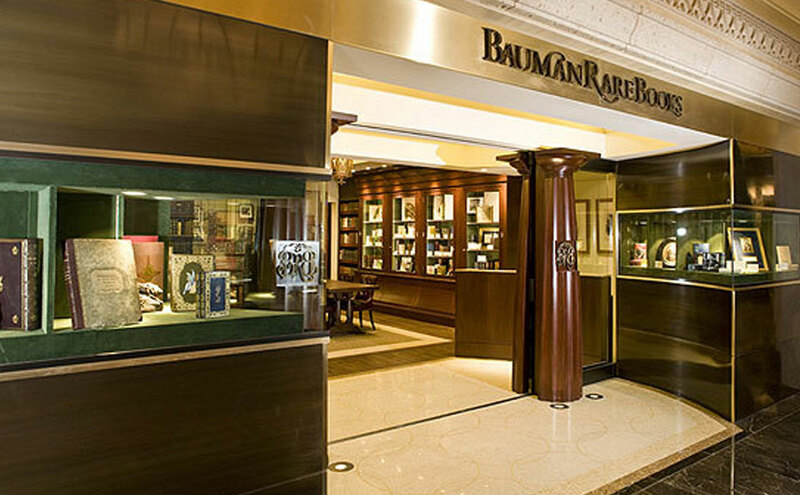 Located within the Grand Canal Shoppes in the Venetian Palazzo, the concepts from the NYC principles are maintained, but heightened, as the rare book acquisition is enhanced in Las Vegas. The architectural elements in the woodworking and details are complemented with exaggerated curved features. 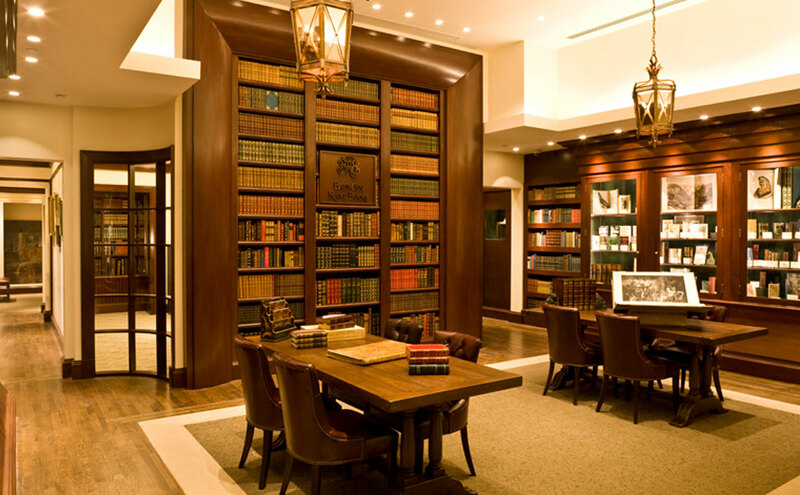 From the entry where the display case and floor pattern are designed to draw you in, to the sweeping reception area, and through to the curved wood and glass windows that give a sneak peek into the private library.